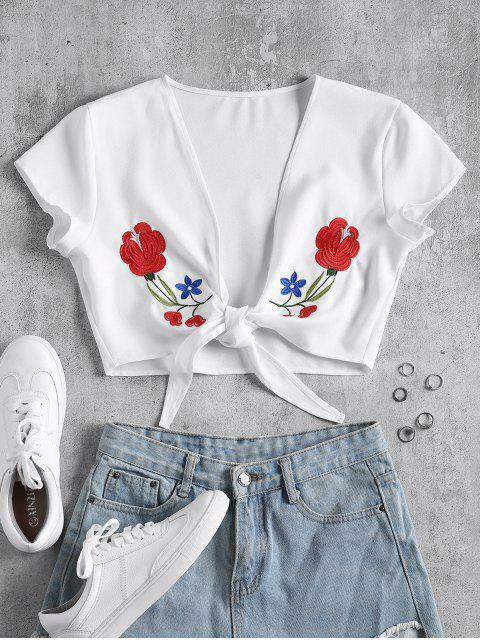 [57% OFF] 2019 Tie Front Floral Embroidered Top In WHITE | ZAFUL .. I really like this top! It looks exactly like it does in the pictures. The material is a little more sheer than it appears to be in the picture, but it’s not see-through or anything. It’s such a cute shirt! I went up a size for the large and it’s still quite tiny, however perfect for summer nights!!!! 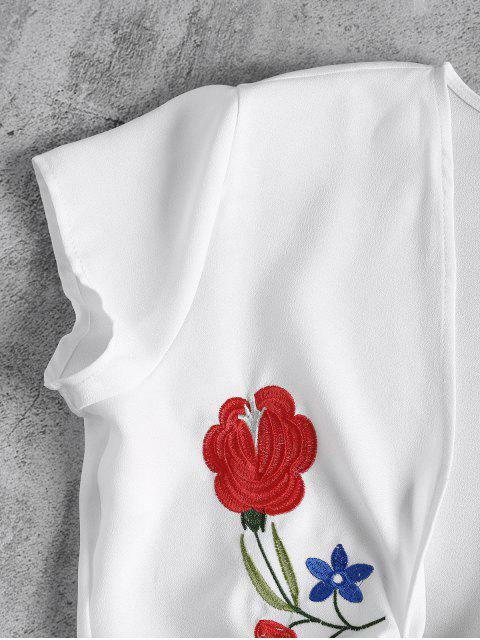 Long sleeve chic top features a feminine center tie accent at the hem and a pretty floral embroidery design on the front in a cropped silhouette. Look perfect by pairing it with some high waisted denim shorts for the warmer weather.